A new study used alligators to reconstruct the bite power of the most fearsome dinosaur. It seems obvious that you wouldn’t want to get caught between the banana-sized chompers of the history’s most famous dinosaur. Until recently, though, scientists were unsure of just how thoroughly a Tyrannosaurus rex could mash your bones into pulp. Thanks to a new paper in Scientific Reports, that mystery has been solved. And some of the individual teeth could exert even stronger pressures of 431,000 pounds per square inch. That kind of force makes humans’ 200-pound chewing power seem embarrassingly weak. Erickson and his colleague arrived at this conclusion by looking at the closest living T. rex relative we have today: crocodiles. They then took those measurements (which — coming in at 3,700-pounds — reaffirmed the crocodile’s title as biting champion of the animal kingdom today) and used them to create 3-D computer models with T. rex skeletons. 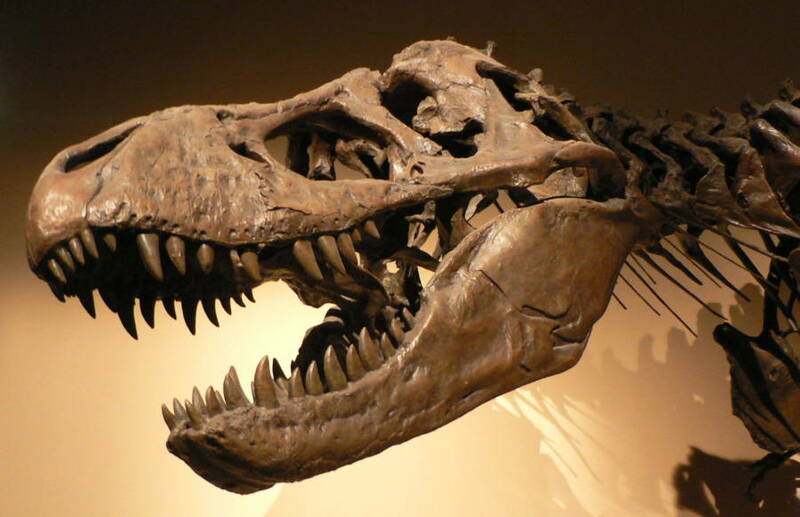 These models confirmed the ease with which the T. rex could eat bones, a skill uncommon for modern reptiles. “It was this bone-crunching acumen that helped T. rex to more fully exploit the carcasses of large horned-dinosaurs and duck-billed hadrosaurids whose bones, rich in mineral salts and marrow, were unavailable to smaller, less equipped carnivorous dinosaurs,” Paul Gignac, an assistant professor of Anatomy and Vertebrate Paleontology, told Popular Mechanics. 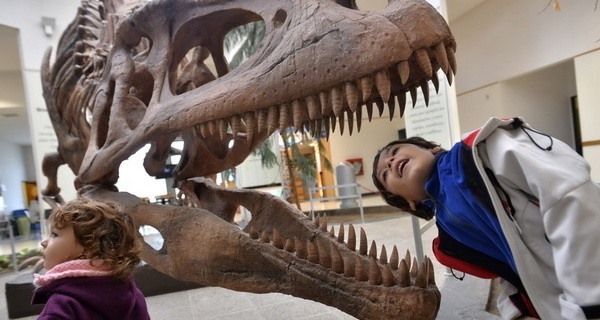 Even with this power, though, the T. rex was probably not the best chewer to ever walk the earth. Extinct species of humongous crocodile, measuring between 35 and 40 feet, likely bit with 18,000 pounds of force, researchers say — double that of the strongest dinosaur. Lucky for T. rex, they never lived at the same time. After learning about the unbelievable bite of the T. rex, check out Nodosaur, the dinosaur mummy recently discovered with its skin and guts intact. Then, learn about the dinosaur-like “sea serpent” fossil found with a baby in its belly.